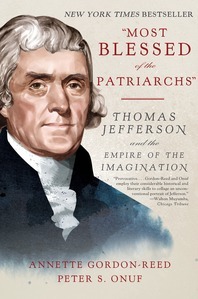 Hailed by critics and embraced by readers, "Most Blessed of the Patriarchs" is one of the richest and most insightful accounts of Thomas Jefferson in a generation. Following her Pulitzer Prize–winning The Hemingses of Monticello¸ Annette Gordon-Reed has teamed with Peter S. Onuf to present a provocative and absorbing character study, "a fresh and layered analysis" (New York Times Book Review) that reveals our third president as "a dynamic, complex and oftentimes contradictory human being" (Chicago Tribune). Gordon-Reed and Onuf fundamentally challenge much of what we thought we knew, and through their painstaking research and vivid prose create a portrait of Jefferson, as he might have painted himself, one "comprised of equal parts sun and shadow" (Jane Kamensky).